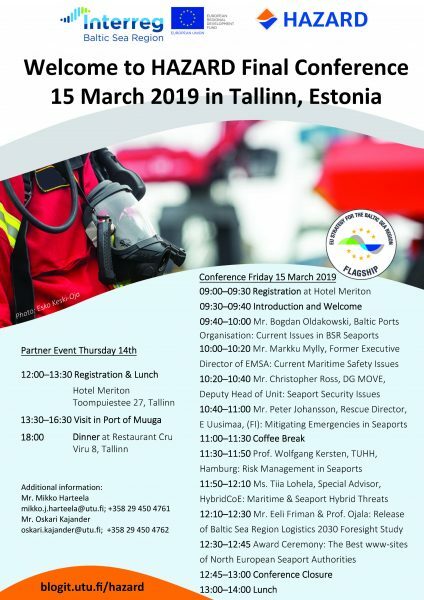 The HAZARD project is having its Final Conference in Tallinn, Estonia during 14-15 March. Thursday 14th is dedicated to a partner event and Friday 15th is reserved for project related presentations held by different representatives of high-level institutions and organizations. Thursday’s program is mostly for partners only but there are some seats available for the set of presentations on Friday. The official programme can be found below and the registration link can be found here.